We feel so fortunate to have Sonar, full sister to Sunny, and daughter to our wonderful dog, Jake. Both Jake and Sunny have many performance titles, typical of that bloodline, so easy to train with their willingness to please and intelligence to learn. Sonar herself, is a powerful female, strong on the tug, and zealous for work. She was a puppy that stood out in the litter for her steady calm. 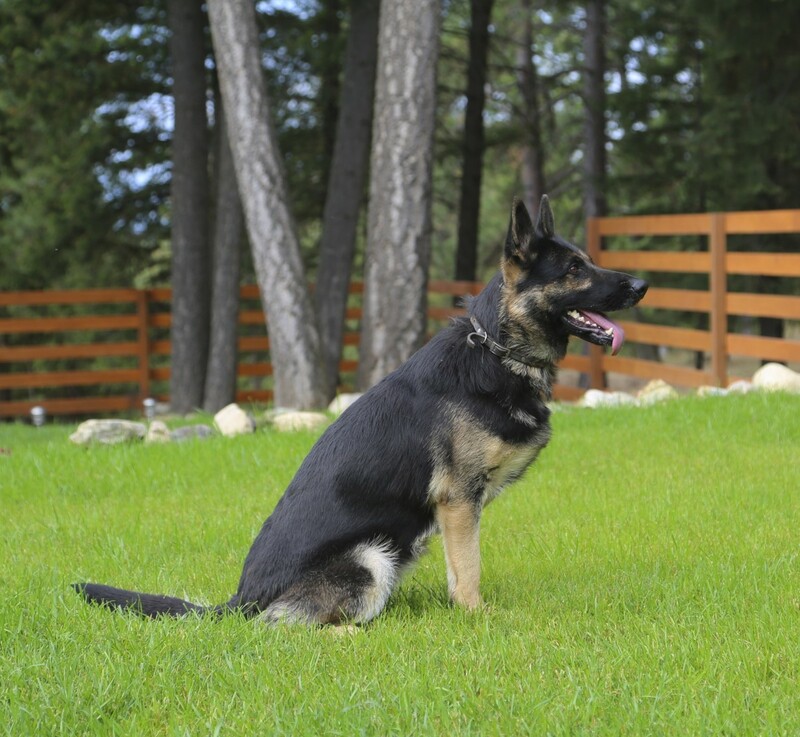 Sonar’s dam, Mica, is daughter of the renowned Xuko vom Kraftwerk SCH III, FHII, a substantial dog, V rated in all three phases: very strong in protection work, with outstanding obedience and tracking ability. On her dam line, Mica goes back to our own V Imo Vom Werraufer SCH III, FH whom we called “Strongheart”.